Most Florida-issued insurance policies allow carriers to examine their insureds and omnibus insureds* (individuals unnamed but covered under a policy) under oath during the claim process. Any failure by the insured to cooperate with this condition of the policy may result in a denial of coverage. In every EUO, carriers look for ways to deny and limit claims. For example, questions will be asked seeking to uncover substantive misrepresentations in the insurance application. Carriers also try to frighten insureds into dropping claims. One popular tactic is by indicating that the EUO is being conducted by the company’s “Special Investigatve Unit,” an effort to make the procedure look like a law enforcement action. Thankfully, there are limits on the carrier. The claimant may have his/her lawyer present during the EUO. 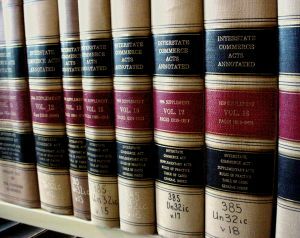 Moreover, since the EUO is not controlled by the Florida Rules of Civil Procedure or the Florida Rules of Evidence, like a deposition would be, the claimant and lawyer are far less constrained in their conduct. For example, they may confer during the questioning. Carriers sometimes forget that the EUO is not an unbridled opportunity to scare and intimidate claimants. In First Home Insurance Company v. Fleurimond, 36 So.3d 172 (Fla. 3d DCA 2010), an insured who was peppered with insults, berated and yelled at by the examiner was allowed to leave the examination without losing the right to insurance benefits. To be sure, not every insurance carrier abuses its EUO rights. Some conduct EUOs with decency and respect towards their insureds. Unfortunately, it is difficult for an unrepresented lay person to know when a carrier is crossing the line. Legal counsel will protect the insured. *Health care providers who are assigned PIP benefits are not obligated to comply with the insurer’s request that the provider submit to an EUO. Shaw v. State Farm Fire and Casualty Co., So.3d , 35 FLW D1020 (Fla. 5th DCA 5-7-2010).